Short-term car rego is here! Golden Plains Shire residents (and all Victorians) can now choose three or six month registration for your car or motorbike. 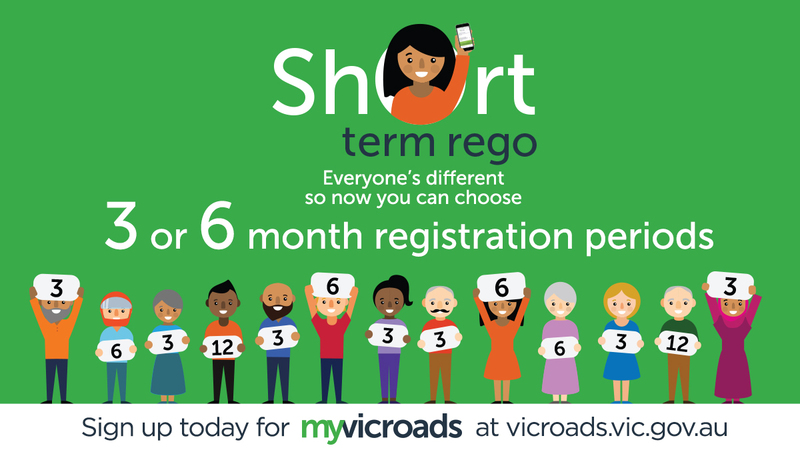 If your registration has not yet expired, head to vicroads.vic.gov.au to create a myVicRoads account and login to select three or six month registration now so your next bill is updated with your chosen rego period and updated payment details. With a myVicRoads account, you will also receive payment reminders and e-bills to keep up to date. You can also set up direct debit with your Mastercard or Visa so you never miss a payment. If you are unable to sign up for a myVicRoads account, you can call the customer hotline on 1300 282 616.